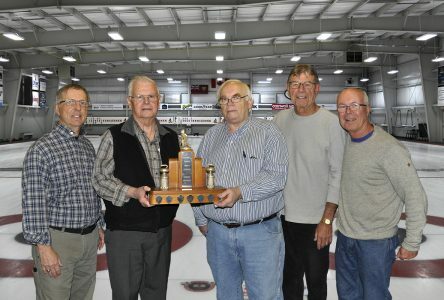 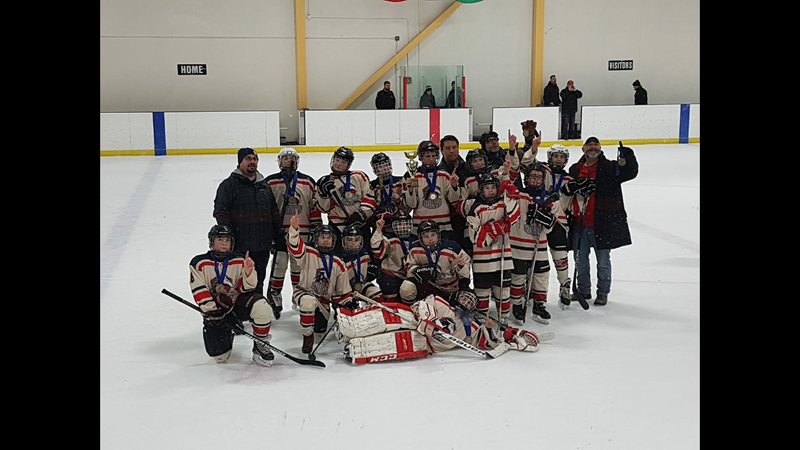 NEPEAN, Ontario – The Peewee C2 Cornwall Colts took home gold in the NMHA 2019 Peewee C Tournament in the Nepean this past weekend. Coaches and Parents couldn’t be prouder of the team! 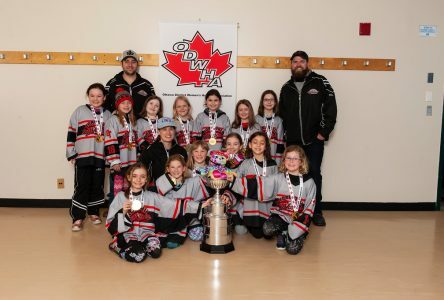 Pictured are: 2 Chance Quenneville, 4 Kian Charbonneau, 6 Maddy Leduc-Vachon, 8 Miguel Bernal, 10 Cayden Labrecque, 12 Simon Cornelisse, 14 Caleb Mainville, 16 Bryan Beaudry, 18 Keegan Thaw, 20 Kaedyn Martin, 24 Liam MacPherson, 26 Malik Dawson, 28 Soren Steer-Lagrue, 31 Logan Valade, Head Coach – Adam Vachon, Asst Coach – Shawn Burelle, Asst Coach – Tony Bernal, Trainer – Gerry Valade and Manager – Lisa Steer-Vachon.